Putnam County Playhouse: 2018 FALL FUND DRIVE BEGINS! 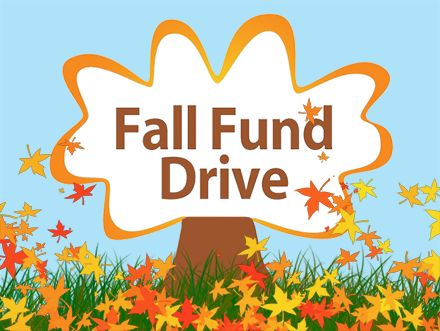 2018 FALL FUND DRIVE BEGINS! 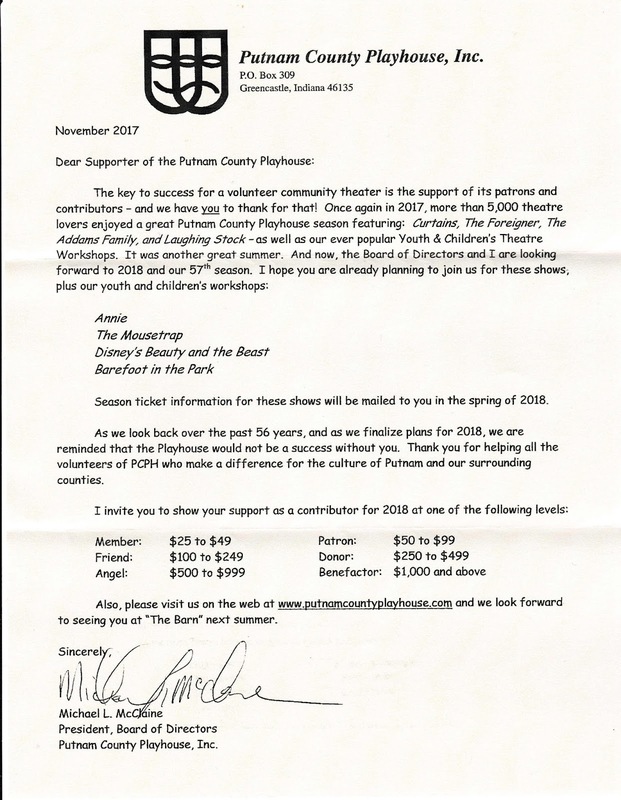 The 2018 Putnam County Playhouse Fall Fund Drive is now underway. The Fund Drive Letters are in the mail, and you should be receiving yours in the next few days. You are an important part of Putnam County Playhouse. Ticket sales fund only a portion of our expenses each season. Your donations help us pay for maintaining our facilities, updating and technical equipment, and paying the royalties for our productions. No person is paid for his participation in our productions. Our board members serve in a volunteer capacity. There are several categories of membership to choose from. For donating during our Fall Fund Drive, your name (or the name you choose) or your business name will appear in each and every program for all of our mainstage shows. If you don't receive your Fund Drive Letter, or if you are not on our mailing list, you can click HERE to find a Donation Form in PDF form that can be downloaded and printed out. Thank you so much for your continued support of PCPH. You make it possible for us to do what we do. Without you, we couldn't continue to operate.